I figured since it is Thursday we could all use a sweet treat to get us through the rest of the week! I mean we made it to Thursday, the weekend is in site and who doesn't love a little something sweet? So here is that sweet treat I teased you all with on Tuesday! 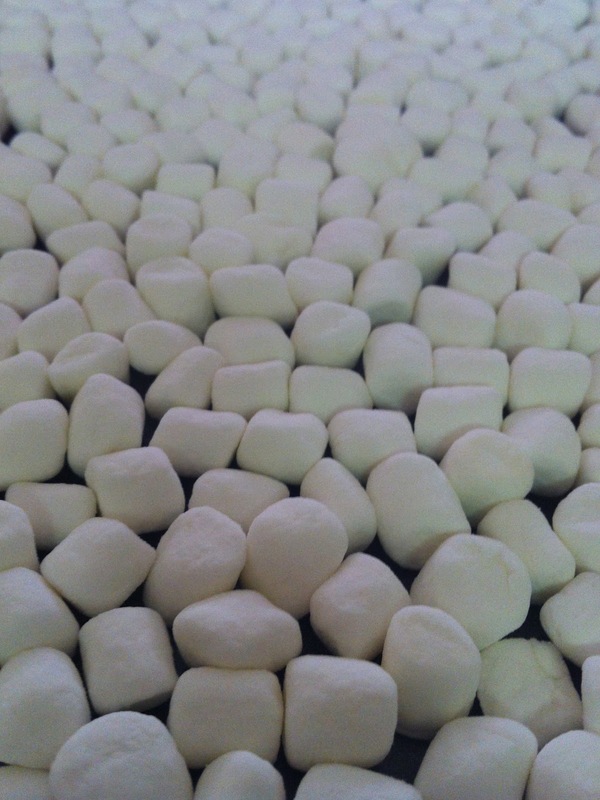 Let me introduce you to Marshmallow bars! 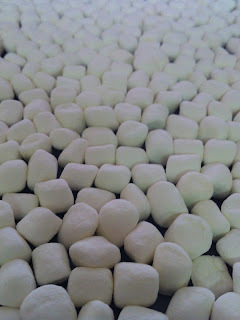 I first had Marshmallow Bars a few weeks ago while down in Whalan, for Derek's family vacation. And let me just say, it is hard to eat just one of these suckers (seriously, they are that addicting)! The combination of peanut butter and chocolate is simply amazing, I mean in my book there is no better food combination! Derek's mom sent us the recipes: all you need is 5 simple ingredients, and a microwave! Shall we get started? First grease your pan so that nothing sticks when you cut your bars! 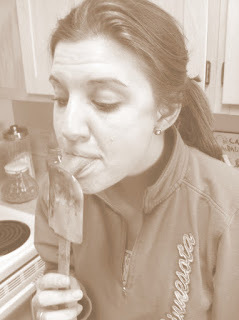 Now pour your marshmallows into the bottom of your greased pan, making sure the the entire bottom of the pan is covered. It should look something like this! In a large mixing bowl place your semi sweet chocolate chips, butter, and peanut butter. Melt your ingredients in the microwave until everything is melted (about 3-5 min, check periodically), stir well to combine. Pour your chocolate peanut butter mixture over the marshmallows making sure that all the marshmallows are equally covered! 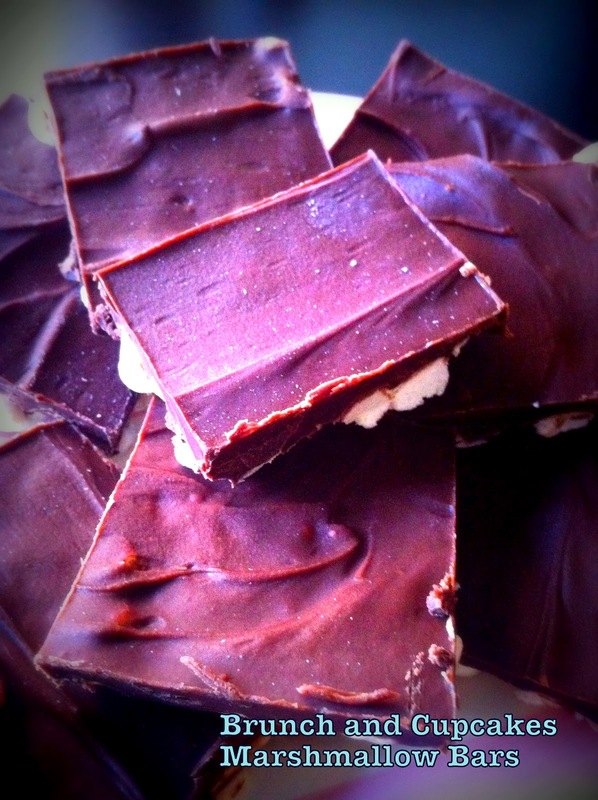 Now place in the fridge until your chocolate has hardened (now you can eat the. If you want to enjoy these bars faster stick them in the freezer! I dare you to try and eat just one of these! I WANT! I MUST MAKE THESE!